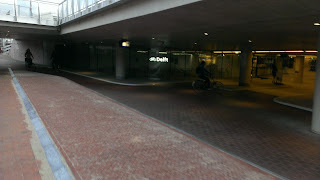 Delft recently reconstructed its train station. 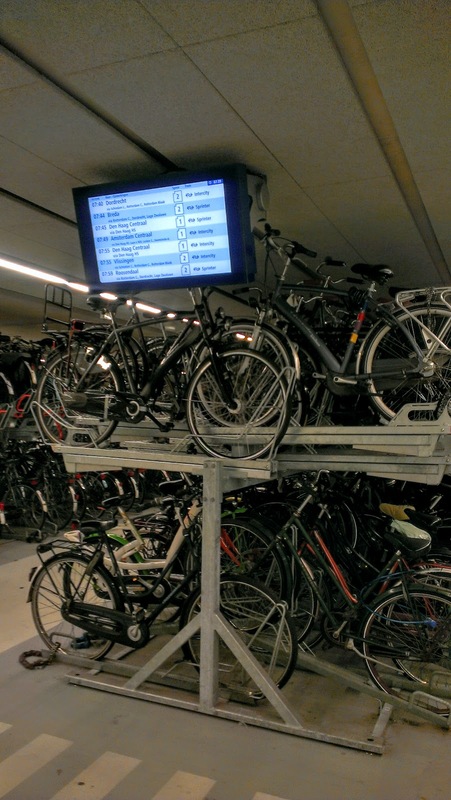 The train station was a lovely old building, dating from 1847 and rebuilt this past year (2015). 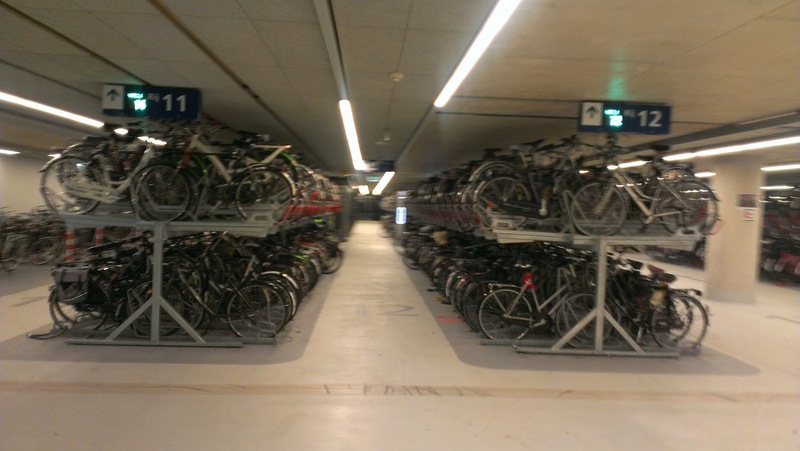 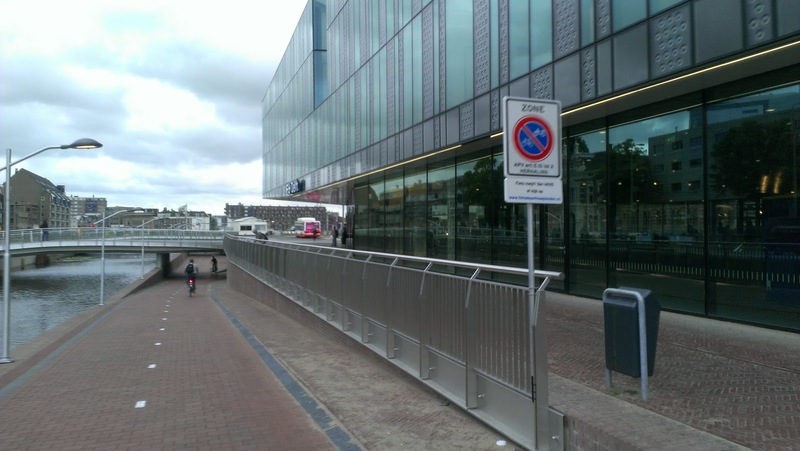 The parking for 8,700 bicycles includes 5,000 underground immediately south of the train station. 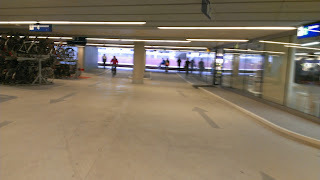 The project included a 2.3 km tunnel under the city center includes a wonderful bike connection. 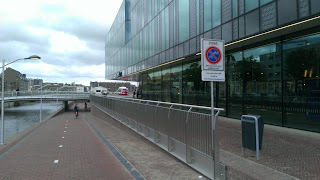 The bike connection is on the east side adjacent to a canal and provides grade separation from the east-west crossings and a direct link to the underground bike parking. The bicycle parking information is fantastic with information available on how many spaces are available in each row of parking. In a garage with 5,000 spaces, the Dutch use numbering to help you remember where you parked your bike. 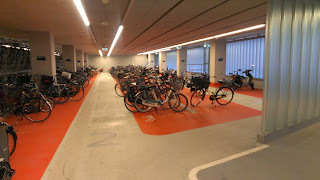 The number 2 is shown below (not quite as clear as the Utrecht garage) and this is the parking for oversized bikes including bakfiets. 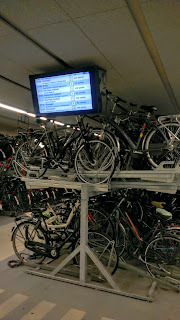 Real-time train information is available adjacent to the bike racks, so you don't have to look at your phone to know how much time you have before your train is coming. 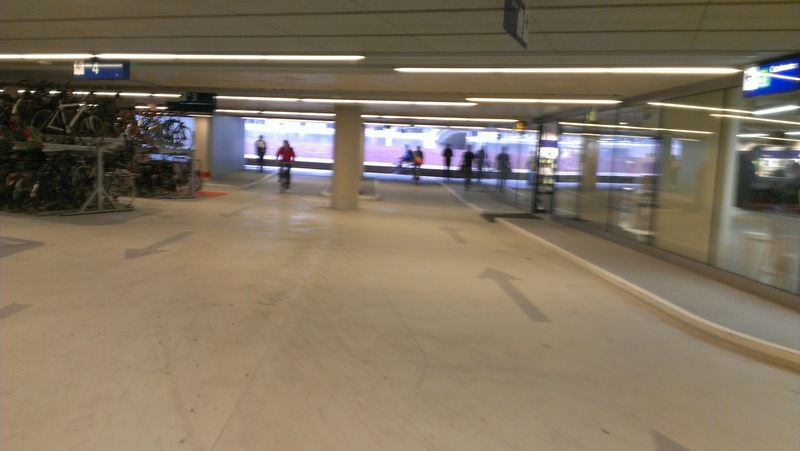 The exit to the garage is sized very well to allow an efficient egress, ample space to pass the person that may be exiting the bicycle service facility.